Are you shopping for someone small this Christmas? When looking for gifts for babies, especially if this is their first Christmas, it can be really hard to know what will actually be useful and practical for parents. The Mamas and Papas Baby Gift finder takes all the stress out of finding something perfect for any child and any occasion – even if you are a relative or friend who feels a bit clueless about what to buy for babies. It may be that they are not old enough for traditional toys yet, or you just need a bit of help when deciding what to buy. The great thing about the baby gift finder is that it tailors the gifts to suit your needs exactly. You simply answer a few really easy questions. Are you a friend or a relative? When was or will the baby be born? What occasion are you celebrating? 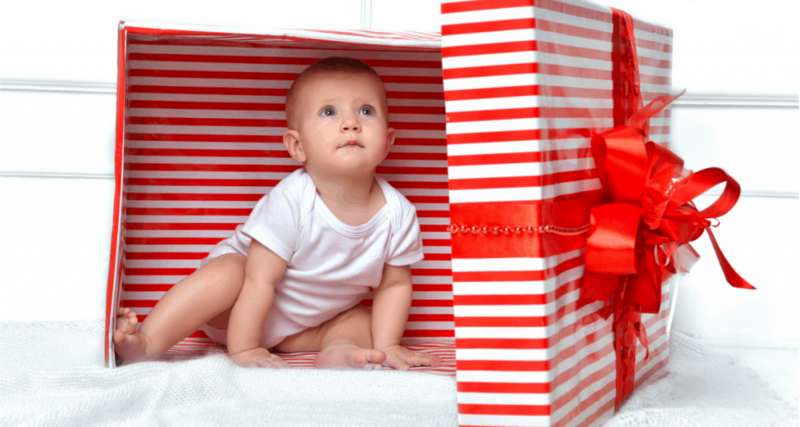 – and voila – a list of perfect gifts for babies for any circumstance is at your fingertips. You can also sort by gender and budget, meaning that it is so easy to select something completely appropriate. The Mamas and Papas baby gift finder can guarantee that your gifts will be of the highest quality. When both my babies were new, they each got a Mamas and Papas colourful baby blanket as a gift. I absolutely adored them as the attention to detail and quality was far superior to other blankets. Mamas and Papas provide gifts for babies that are stylish, practical and extremely well-made, meaning that you can’t go wrong. So, if someone close to you has recently welcomed a bundle of joy, you should head over to the Mamas and Papas gift finder now.